Someone To Love More Than Music: "Just Let Go. You Look Down, and See There's Nothing Below"
"Just Let Go. You Look Down, and See There's Nothing Below"
The Faraway Places Modal Energy Music Configuration is an experimental multimedia music ensemble specializing in unique "omniphonic" performances that literally surround the audience. 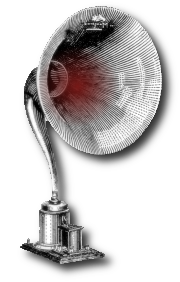 On August 2 they will perform "The Inverted Pyramid" at Sea & Space Explorations, a Highland Park artspace dedicated to conceptual art and performance. This performance will involve a ring of musicians playing vintage synthesizers around an audience which is reclining while viewing video projections by Terry Chatkupt on the ceiling. They have performed at several California artspaces, including Machine Projects, Sea & Space Explorations, the Outpost for Contemporary Art, and Southern Exposure in San Francisco. In November they will perform at LACMA as part of an event curated by Machine Projects. As many as 15 people join core members Chris Colthart and Donna Coppola, creating rhythmic sheets of sound that evoke Alice Coltrane, Steve Reich, Philip Glass, Sun Ra, and 60s psychedelic rock. 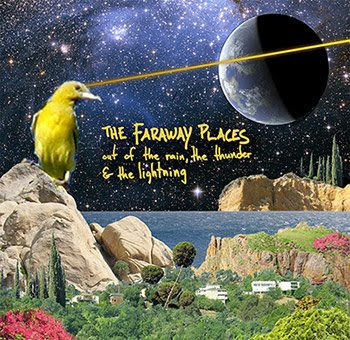 The Faraway Places also play as a psych/krautrock band, combining experimental techniques with pop songcraft from a bygone era. They are currently releasing their 2nd record, "Out of the Rain, the Thunder & the Lightning." Their debut, "Unfocus On It," received praise upon its release in 2004 on the LA label Eenie Meenie and on Bella Union in Europe.